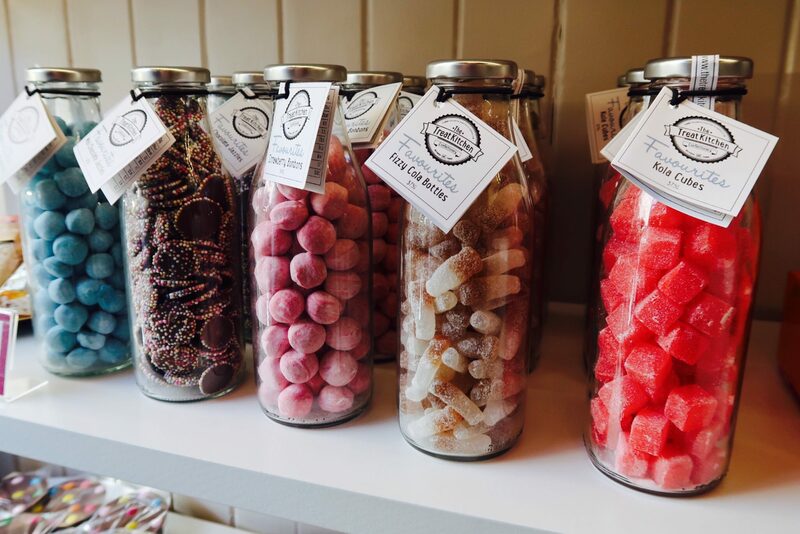 Last November you might have spotted a new shop pop up in the Rosemount area of Aberdeen, Hardy’s Chocolates. Recently opened by Lisa Thomson Hardy’s Chocolates offer a wide selection of chocolates, including ‘free from’ ranges. 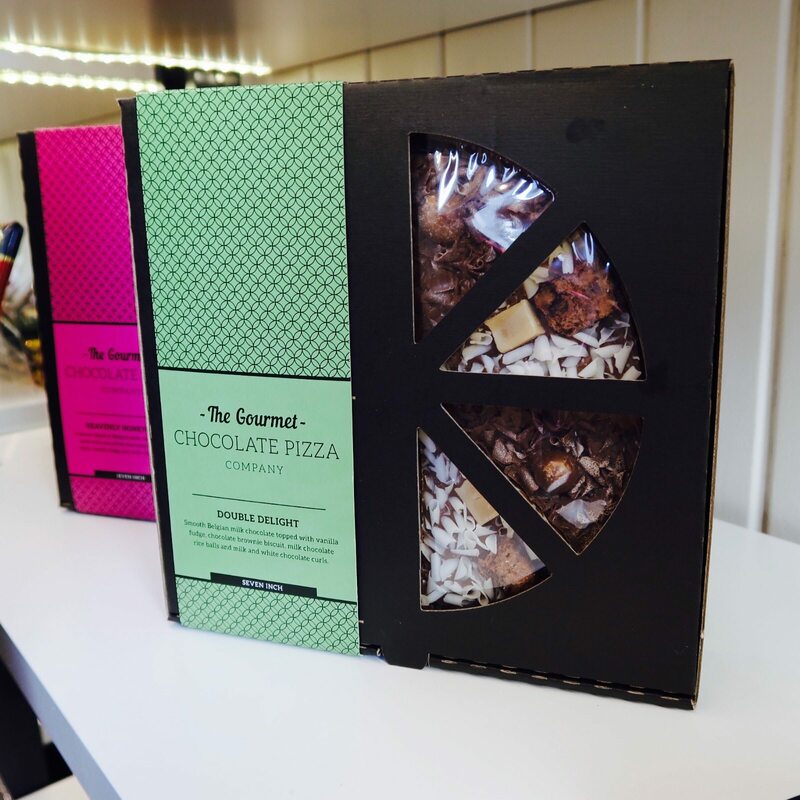 Also instead of just going in and buying a box of chocolates you can pick which of the many chocolates on offer you would like in your box – perfect if you’re fussy like me or know that the person you’re buying for has a particular favourite. 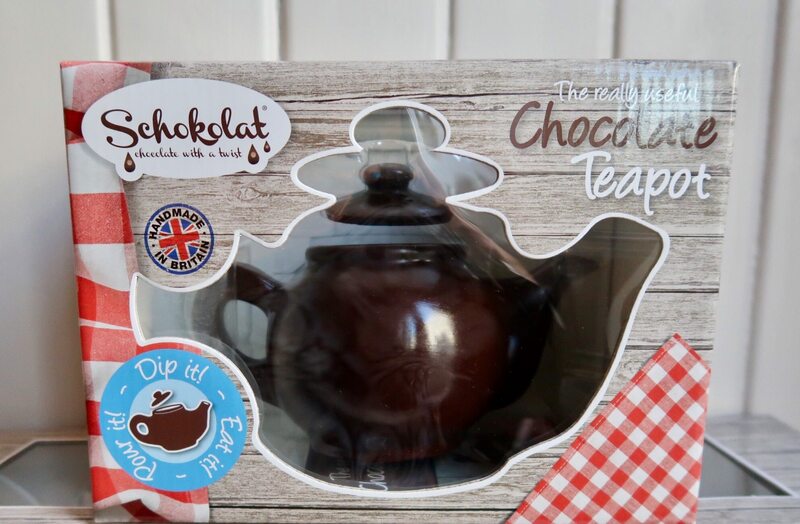 If you are looking for a chocolate pizza or even a chocolate teapot – Hardy’s is the place to find them! 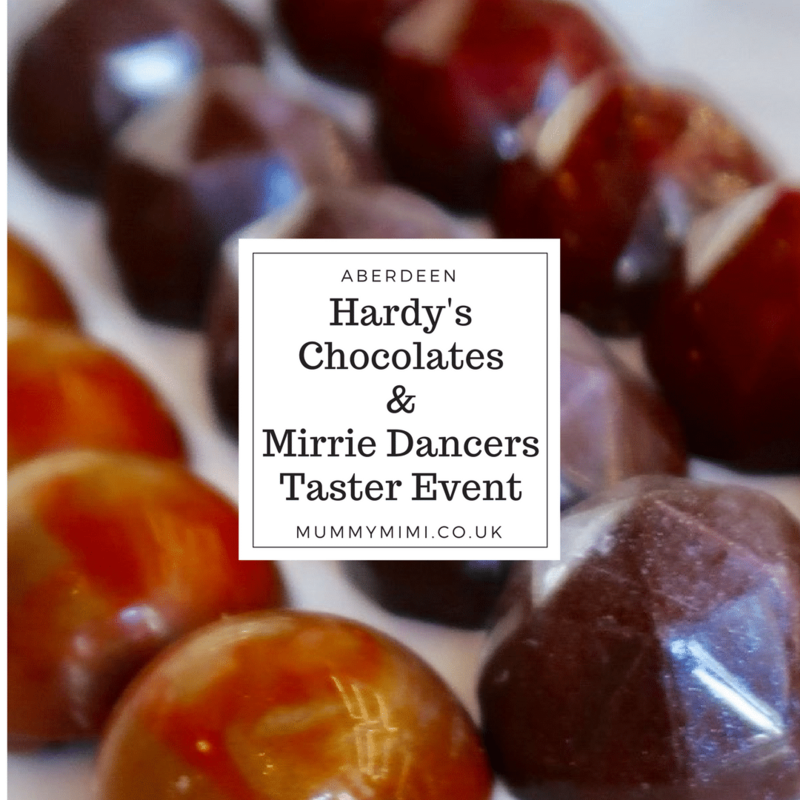 Last month I was lucky enough to be invited to a taster evening that Hardy’s Chocolates held to showcase the offerings from their newest supplier, Mirrie Dancers, a Shetland based chocolatier. So of course I jumped at the chance to go along! 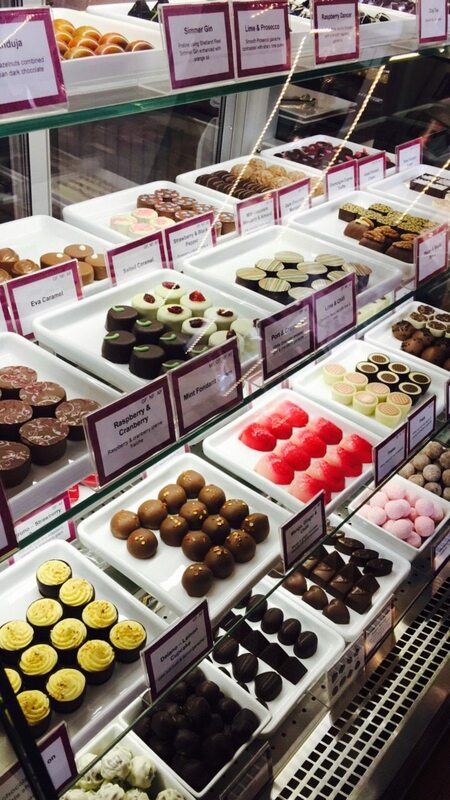 I mean who would say no to chocolate tasting? Mirrie Dancers was launched in 2016 by former military chef, Dave Williams. Dave explained to us how he first came to produce chocolates and create Mirrie Dancers. 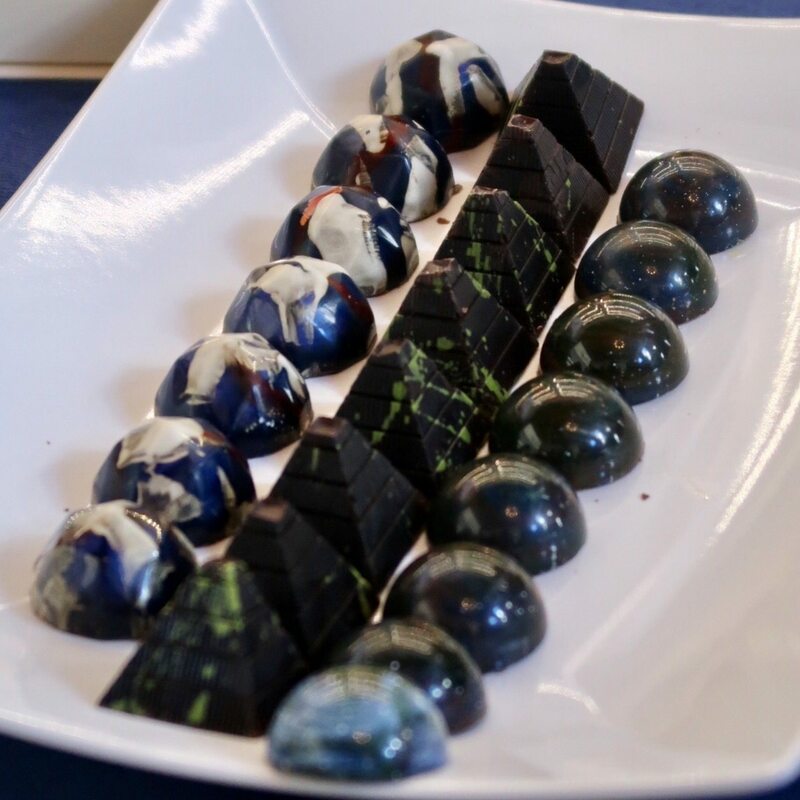 He came up with the idea of producing chocolates after being asked to create a chocolate to accompany a particular gin during a Shetland Gin Festival and discovered that there was high demand for his chocolate. Dave’s passion for his chocolate creations was very evident as he explained how they came about. Dave aims to use local ingredients for his chocolates. In keeping with the gin theme, one of the chocolates that we got to taste, Simmer Gin, is made using Shetland Reel Simmer Gin. Another creation, which was one of my favourites, was the Lime & Prosecco pyramids. They tasted amazing and are decorated using colours inspired by the Northern Lights. I have to say my favourite out of the selection on offer had to be the Sea Salt & Caramel chocolates. 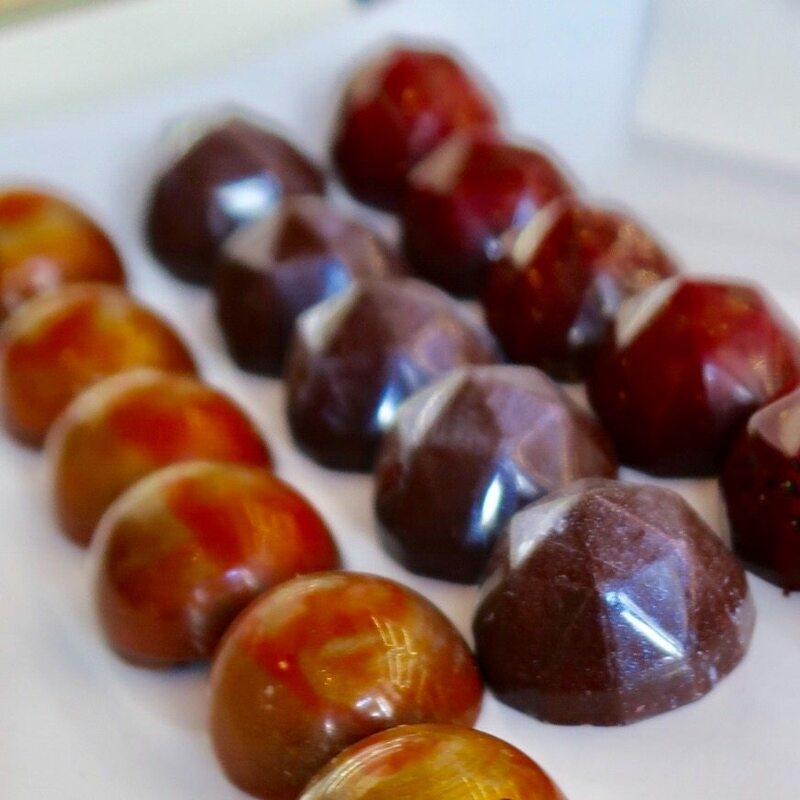 Made with locally harvested sea salt and smoked caramel these were a treat for the taste buds! Hardy’s Chocolates is the sole stockist of Mirrie Dancers chocolates in the North-East. 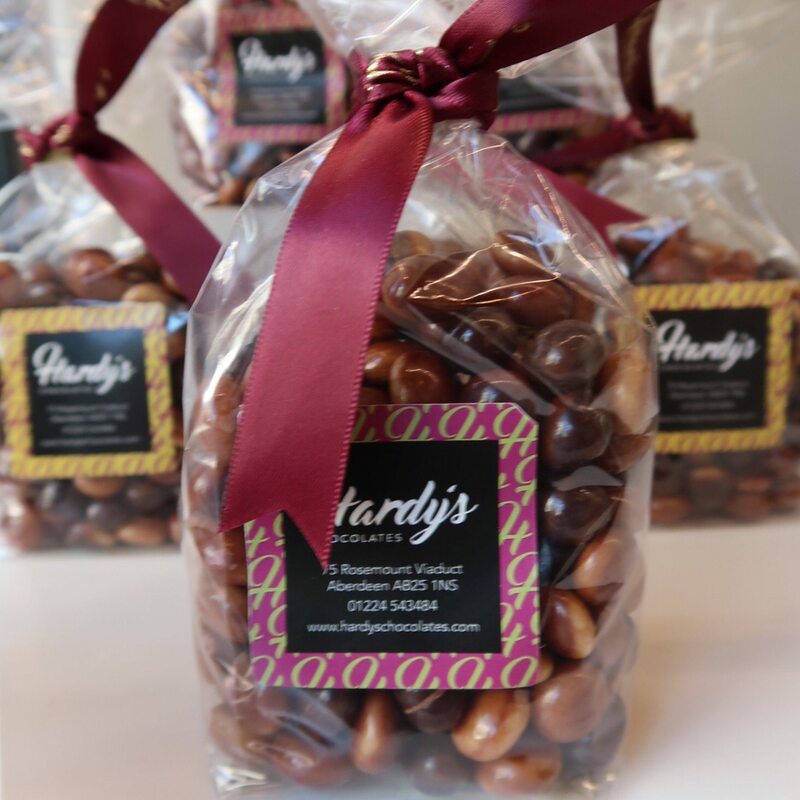 The relationship between the two businesses means that Hardy’s Chocolates can now offer a wider range of made-to-order products for events and corporate gifts. By purchasing from Hardy’s Chocolate and Mirrie Dancers you are supporting local businesses, and also getting fantastic products. 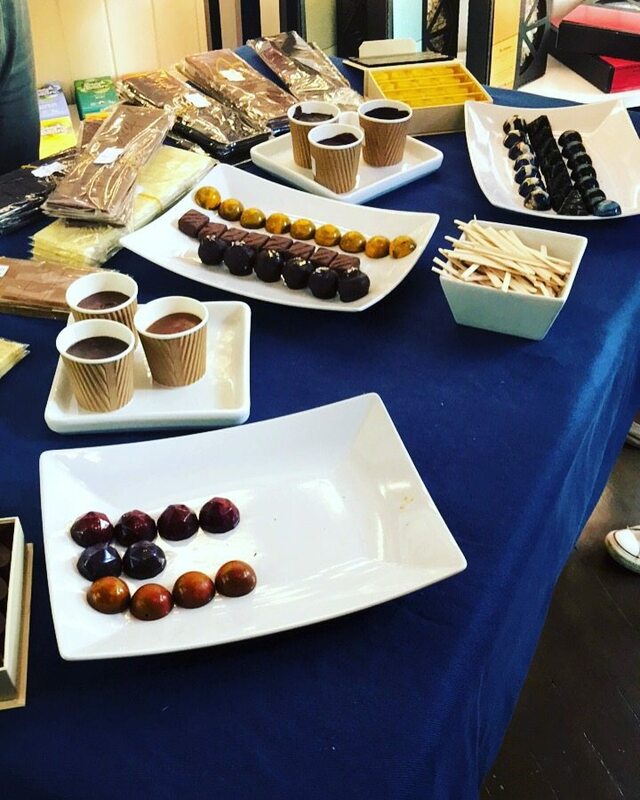 Thanks to Lisa of Hardy’s Chocolates and Dave of Mirrie Dancers for having me along to the taster evening and for the opportunity to try their delicious chocolates – I will certainly be popping back for more!